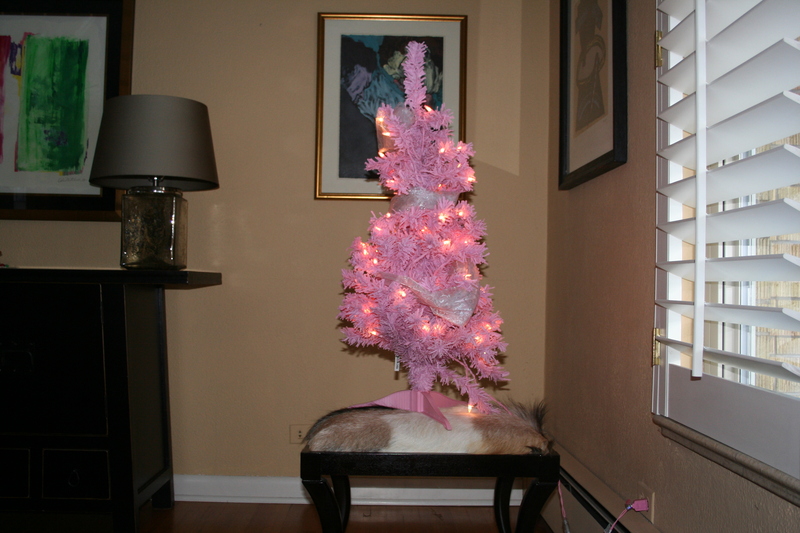 Lena brought this pink flocked Christmas tree to dinner last night. She struck a set earlier in the day and saved the tree from the trash pile. Lena thought the tree would make a perfect, if not comical, addition to our holiday décor. I think I’ll regift it to Mike.